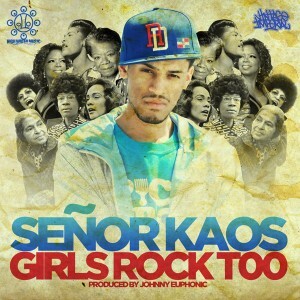 So Señor Kaos is getting official with it–he’s prepping a soon to be released EP featuring the song, “Girls Rock Too” which has been featured on his last mixtape, Swagger Is Nothing, Talent Is Everything. The Girls Rock Too EP released by High Water Music, will feature the title track including instrumentals, remixes and clean versions of the cuts: “When I’m Gone” and “Automatic Classic”. “I made this song with hopes to enlighten people of the female accomplishments that have been forgotten about. You have adults with children who refuse to let their kids listen to the music because of the messages that are associated with it. Previous PostArtists To Watch: The CollectivesNext PostWait A Minute!! Heavy D is back?